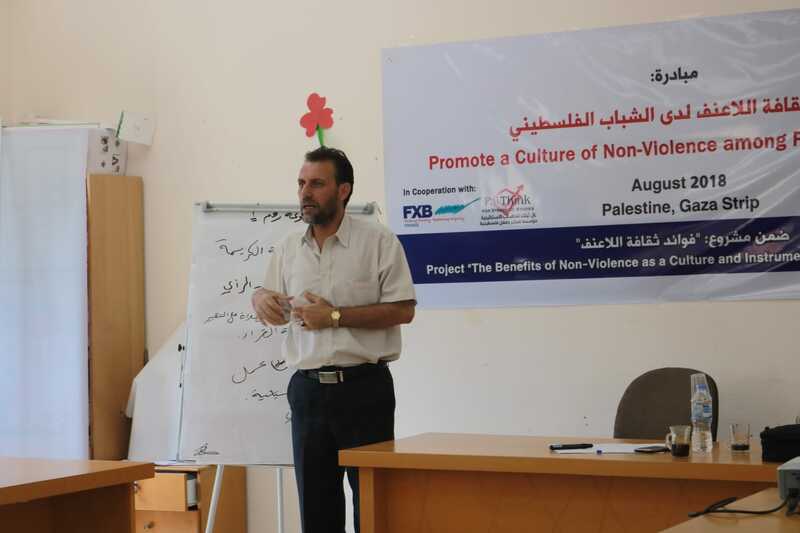 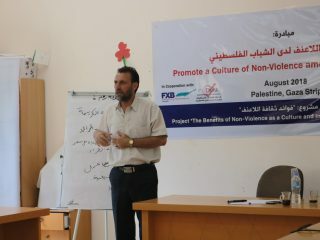 During a training course, within the culture of nonviolence project, organized by The Palestinian Charity Association Al Najada, in cooperation with Pal Think for strategic studies institutions and FXB international, a group of youth expressed their concerns about how important it is to spread a culture of nonviolence and tolerance in the Palestinian community, calling for strengthening the language of dialogue based on the acceptance of others, and rejecting the culture of exclusion , as well as ,stressing on the role of civil society institutions in holding more meetings, in the framework of promoting the culture of nonviolence and tolerance . 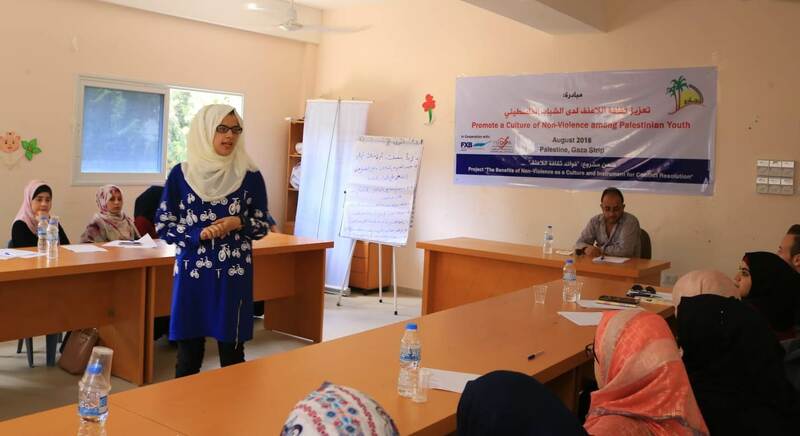 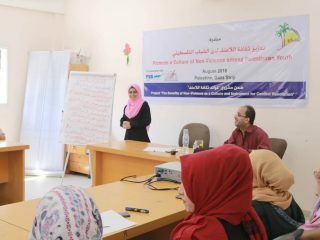 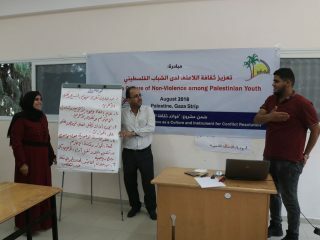 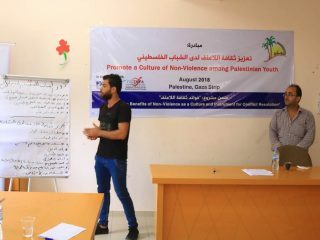 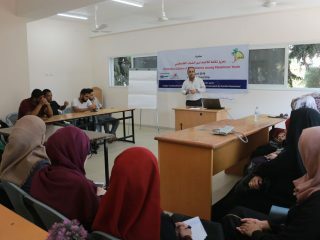 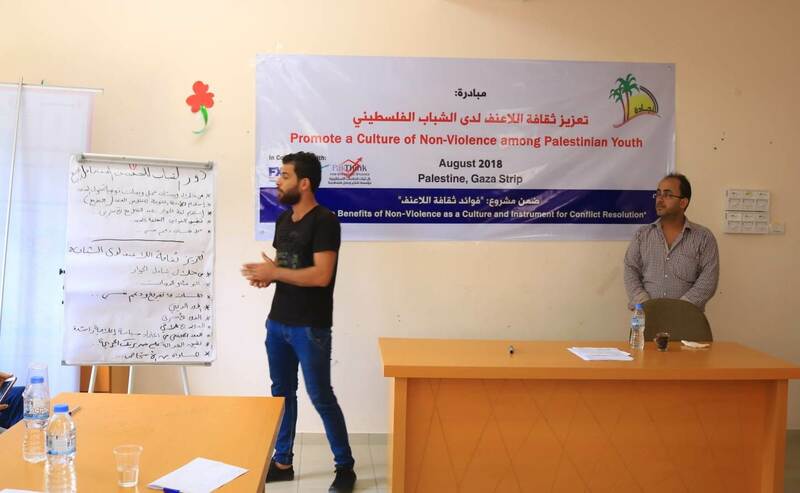 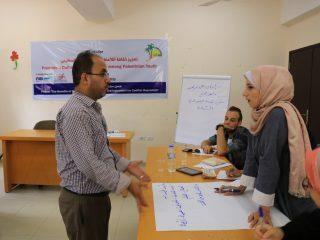 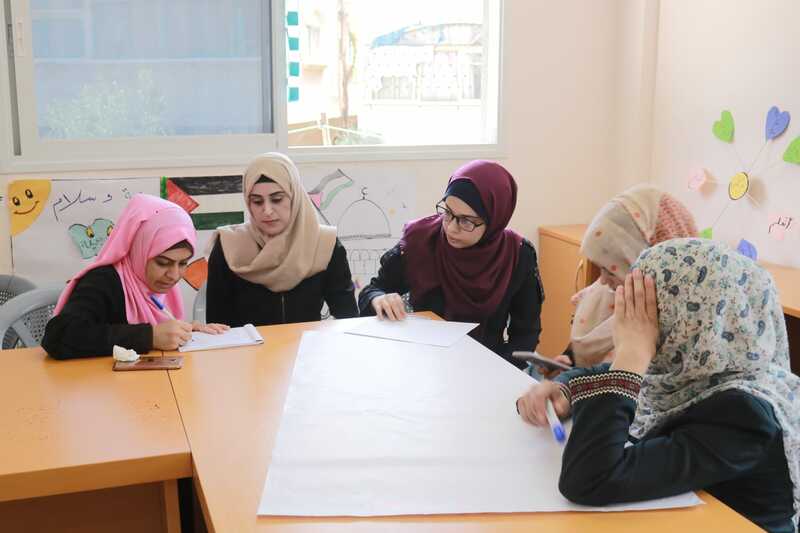 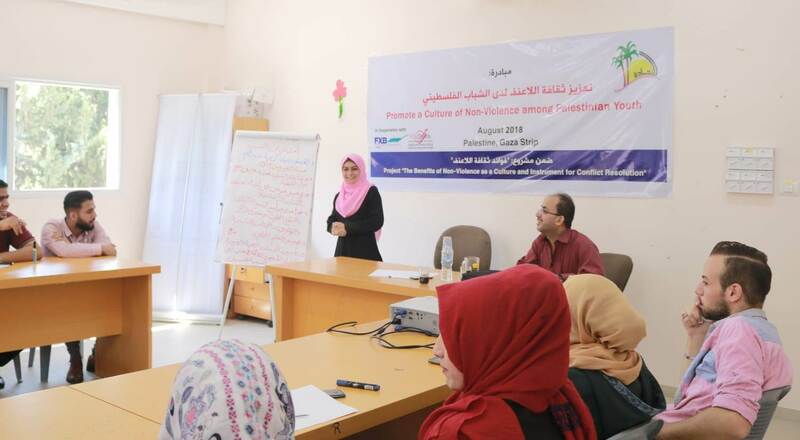 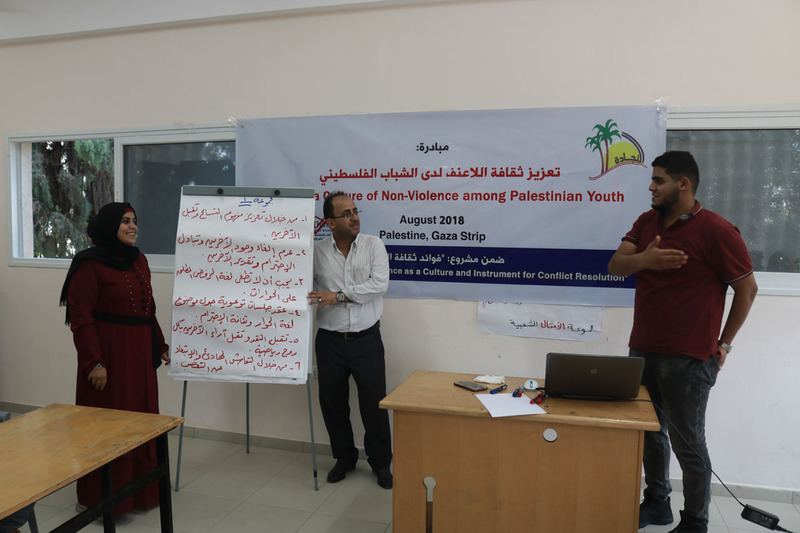 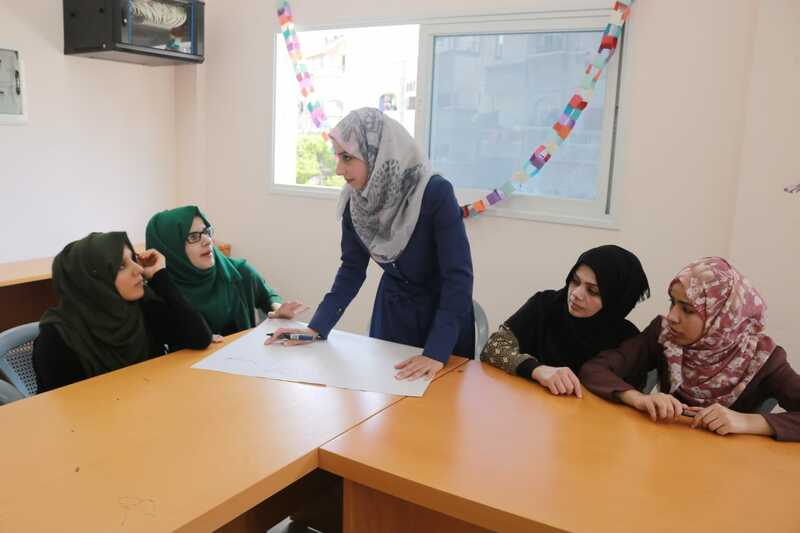 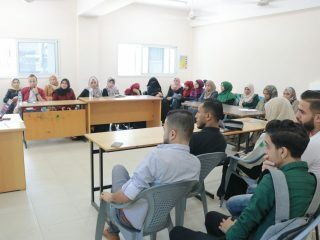 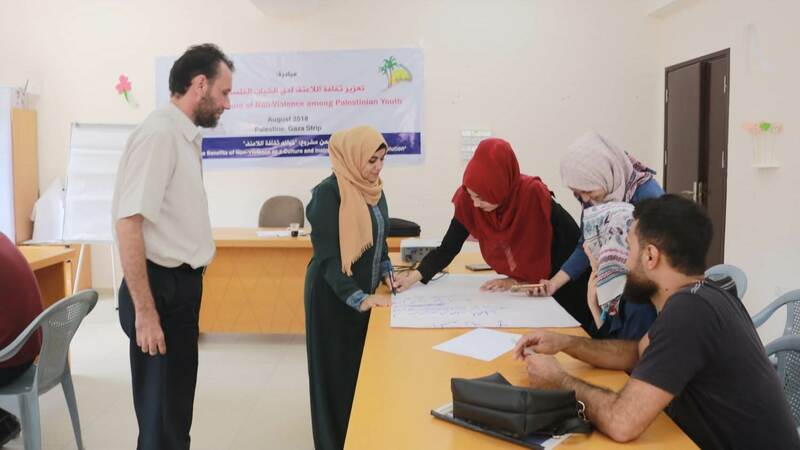 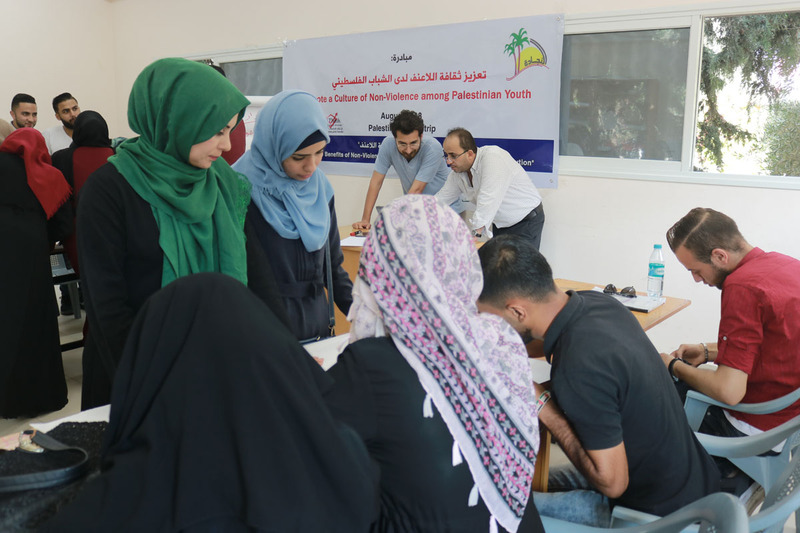 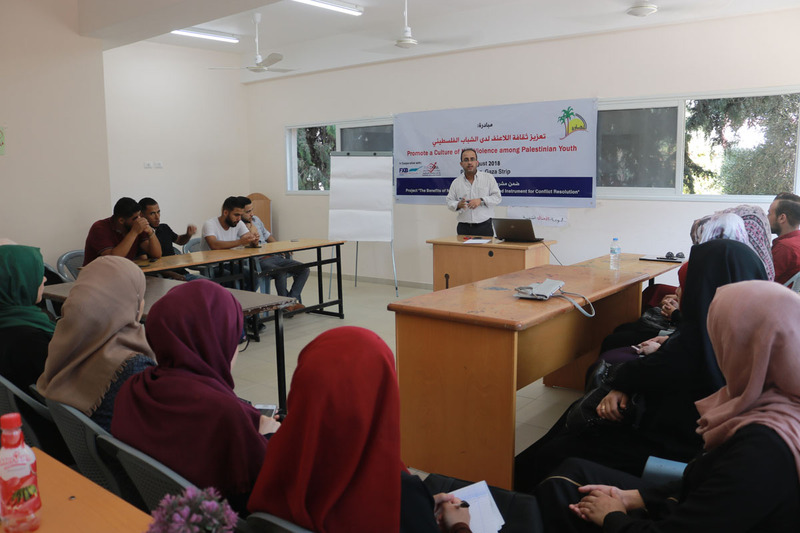 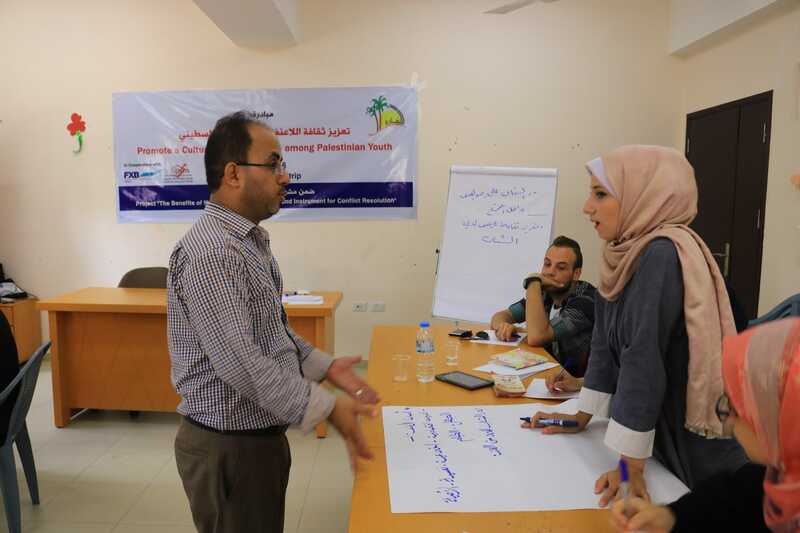 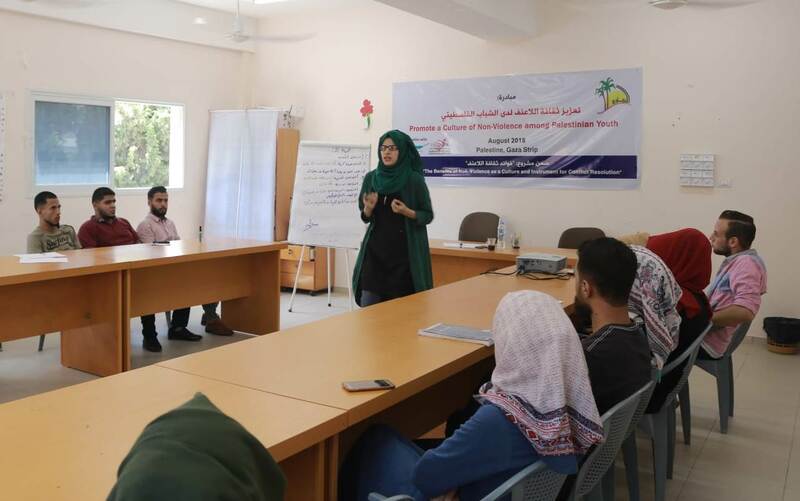 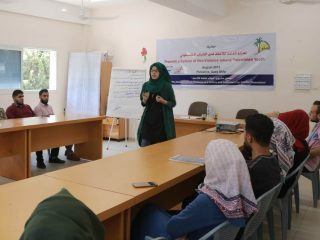 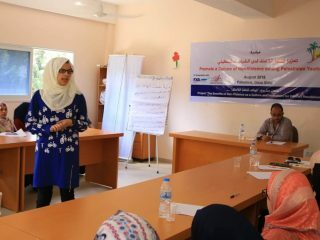 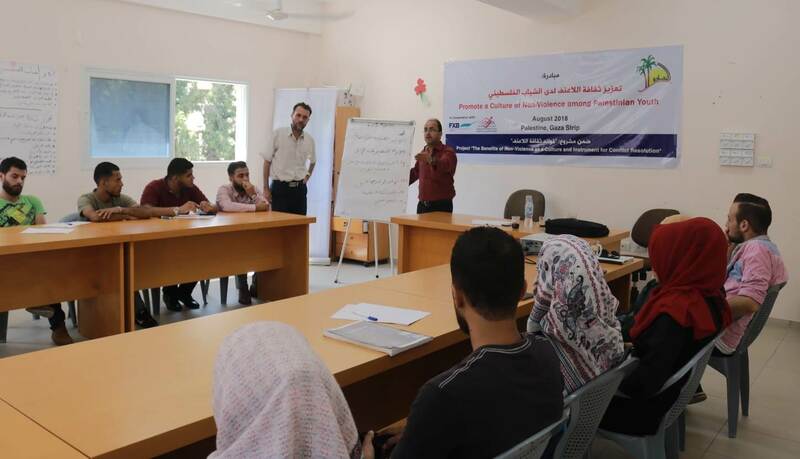 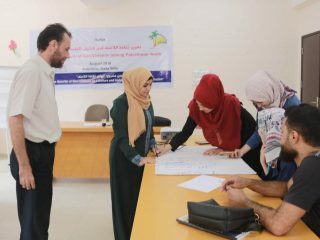 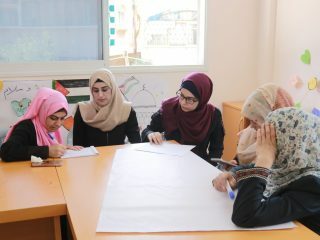 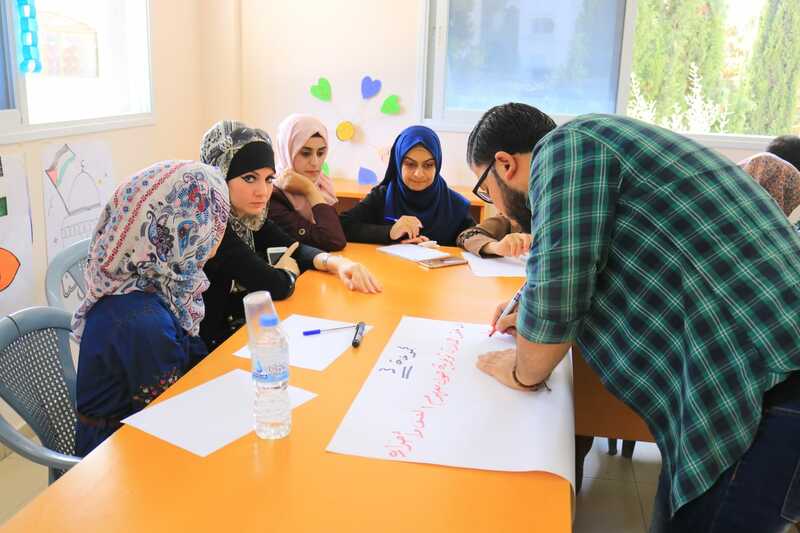 The training course lasted for 3 days, with the participation of 30 young men and women graduates, and university students from Jabalia camp (A Refugee Camp in the north of Gaza city). 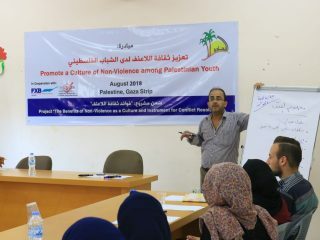 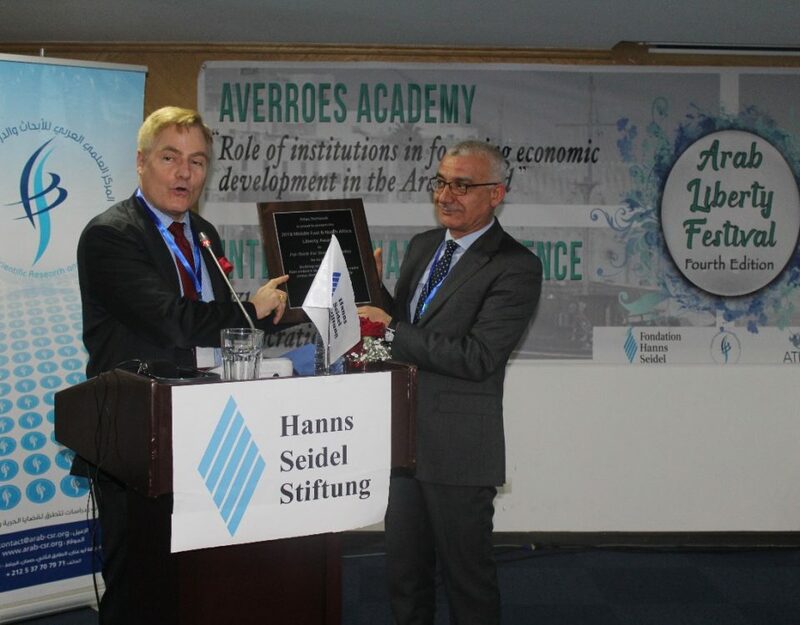 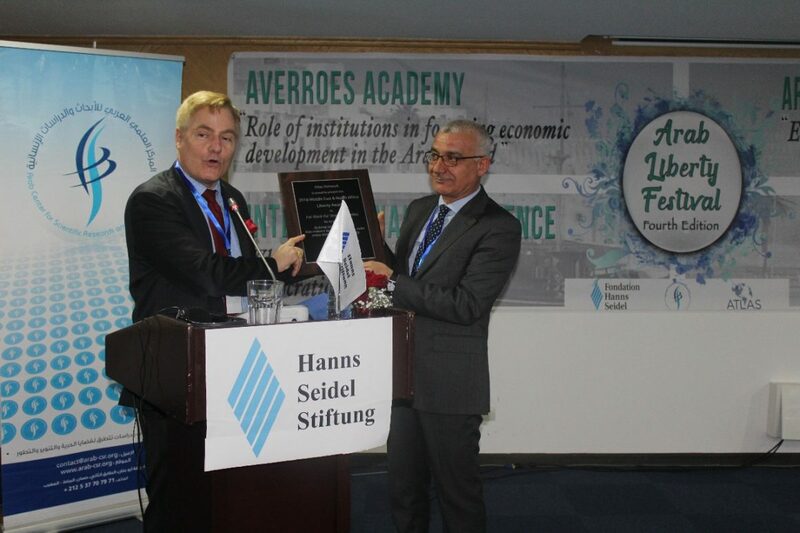 The course discussed several topics including, the violence concept, forms, reasons, ways of treatment, its influence on community and youth attitude, in addition to the role of both civil society institutions and media in promoting the culture of nonviolence, tolerance and, dialogue in youth. 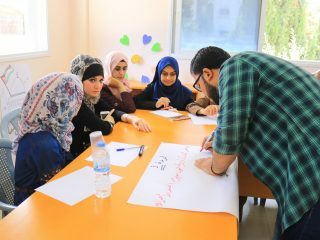 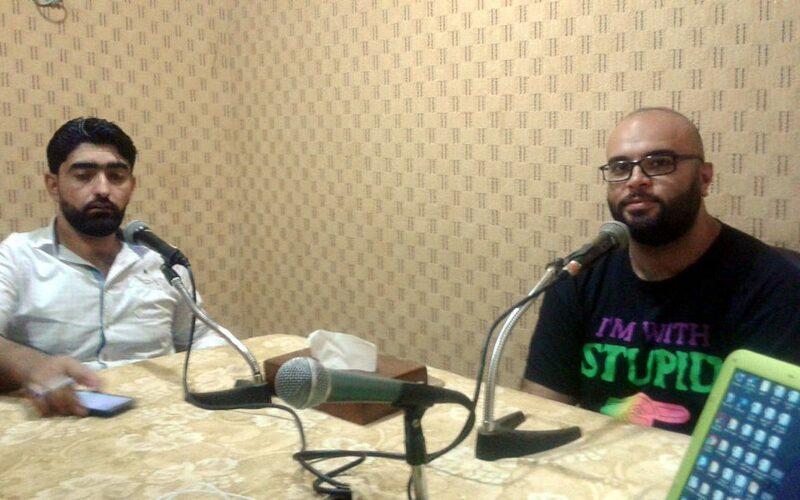 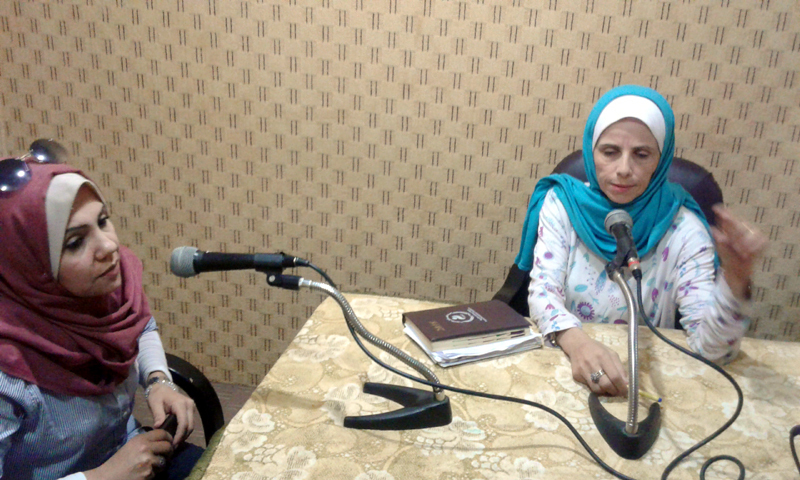 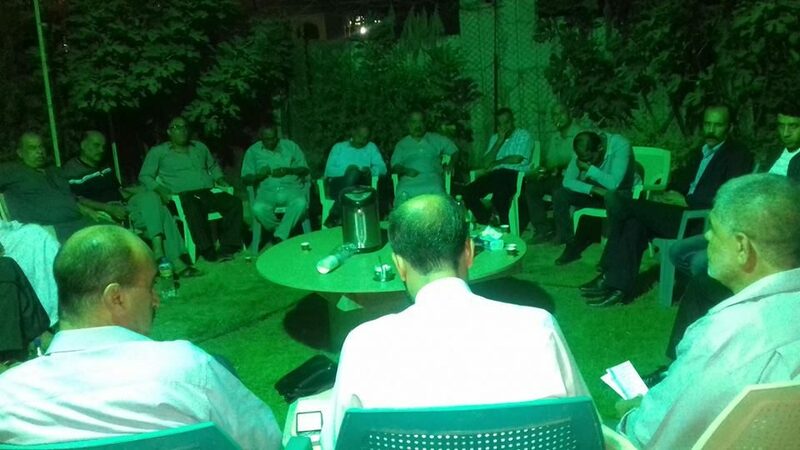 All participants agreed on how important it is to increase the youth awareness of the culture of nonviolence, and tolerance considering violence as destructive mean that threat social peace.They also recommended to held and organize radio and television episodes, calling for promoting the culture of nonviolence, tolerance and dialogue inside community. 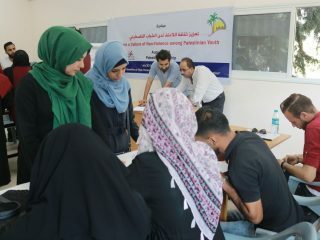 The participants were very thankful for the experience, and were excited to apply what they learned, through initiatives they are planning to execute, for example the trainee Ms. Rawan Shaqqura held a family meeting with her family members, explaining to them the importance of promoting a culture of tolerance and nonviolence in society. 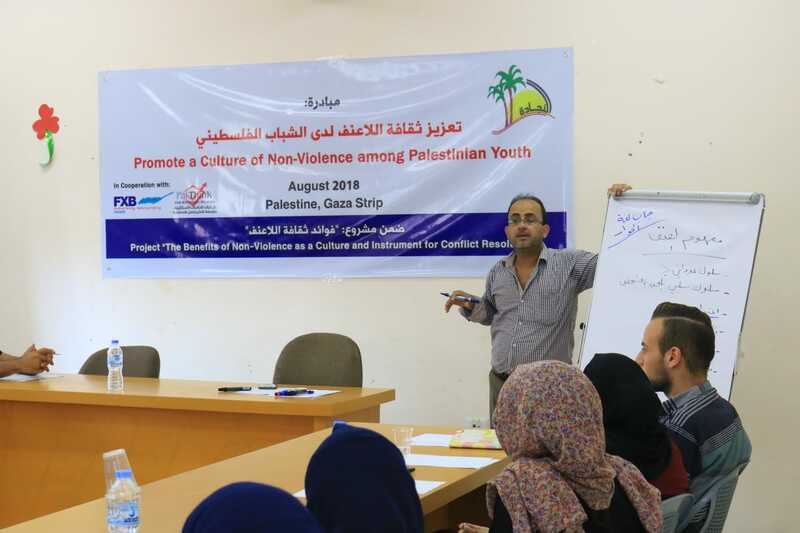 The most important outcome of the training course was, that young people can actually promote the culture of nonviolence in their society starting with their families and extending to the rest of society.